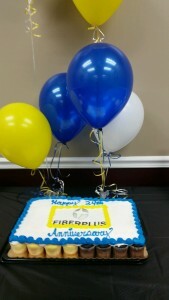 FiberPlus celebrates 24 years of great service! 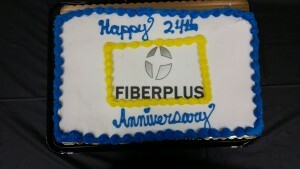 Thursday, February 11 was the 24th anniversary of FiberPlus! 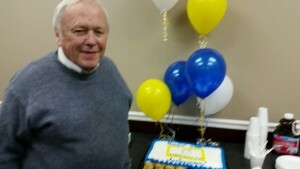 We celebrated with a staff party at our Jessup office. A special cake made of cupcakes with the FiberPlus logo was served to our hardworking staff members who have helped to keep FiberPlus going for the past two decades. And of course, we’re happy to share our successful story with our clients! 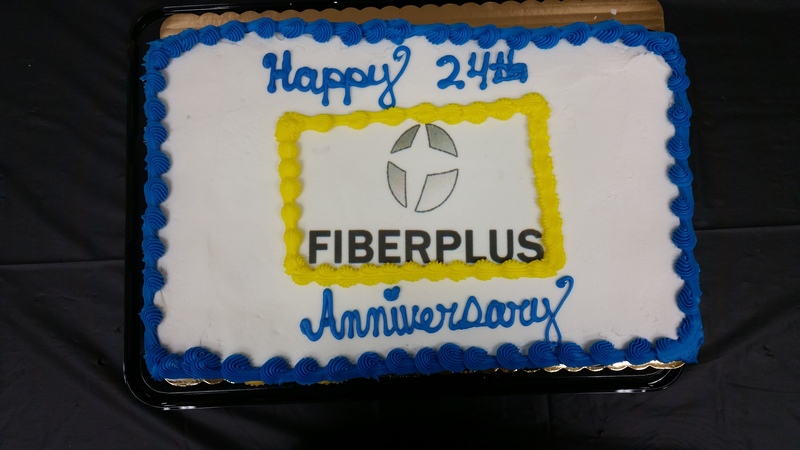 Our clients are an essential part of FiberPlus’ 24-year success. According to Dun & Bradstreet reports, “Businesses […] have only a 37% chance of surviving four years and only a 9% chance of surviving 10 years.” Against these odds, FiberPlus has managed to survive and thrive for over 20 years! FiberPlus formed in 1992, at the beginning of a the new technology of fiber optics. We were devoted to mastering this new technology so that we could offer our clients the fastest and highest quality products and services. Initially, our role was limited; we simply installed cabling for what was then called Local Area Networks. But of course, technology changed, and with it so did FiberPlus. We picked up on the next big technology: wireless data. With a solid background in fiber optics and structured cabling, we were able to assert ourselves as the experts in the new and growing field of wireless data. As we mastered wireless data, we decided to expand our wireless capabilities even further by offering Distributed Antenna Systems. We later added other security devices to our repertoire and became qualified for installation and monitoring of special security facilities under the provisions of UL2050. The driving philosphy behind FiberPlus has always been to keep on top of new and emerging technology as a means of offering the highest quality service and products to our clients. 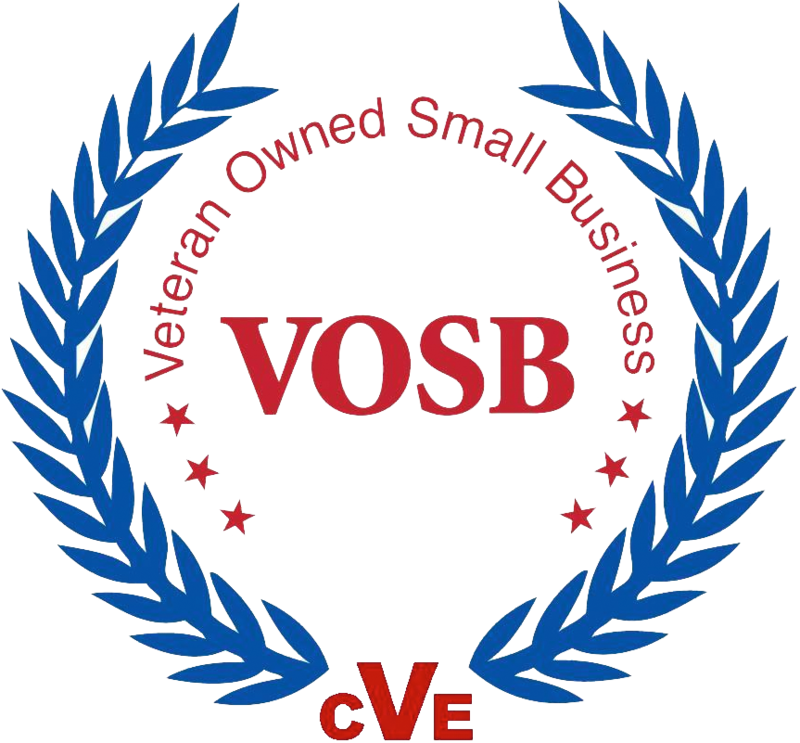 Our hard work has paid off in the form of great relationships with our clients and an established reputation from years of solid, quality work. This entry was posted on Monday, February 22nd, 2016	at 6:23 pm	. You can follow any responses to this entry through the RSS 2.0 feed. Both comments and pings are currently closed.